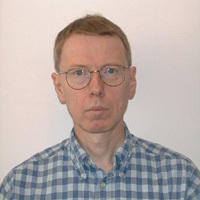 Claus Fabricius worked for many years at the University of Copenhagen, participated initially in the Meridian Circle project on La Palma and later in the construction of the Tycho-1 and Tycho-2 catalogues. In 2002 he joined the Gaia Data Access and Analysis Study (GDAAS) carried out by GMV (Madrid) and the University of Barcelona. Based in Barcelona since 2005, he works in the Gaia consortium wth the analysis of CCD images, the astrometry and photometry, the payload configuration, the validation of Gaia results and the various aspects of publishing the data.